A billowy cloud of salt muddied the bottom of the tall, wide glass jar. The brine bath roiled as my fingers gently stirred the fragile eggs. Half of them were white duck eggs and the other half were brown chicken eggs. One by one, I turned them as gingerly as I could so that not a single egg would break. A full week had passed since I started the brine. I consulted two recipes for curing the eggs. One recipe called for a thirty-day soak and another called for only twenty one. Before boiling all the eggs try just one first, the recipe suggested. If the egg white does not taste salty, soak for at least another week. A full month of waiting seemed far too long but I knew that my patience would be rewarded. Eyes on the prize, I reminded myself. It was my foray into homemade salted eggs. The Filipino lady who sells chicken eggs at the Alemany Farmers’ Market on Saturday mornings usually supplies my stash of purple dyed itlog na maalat. Before I discovered her, I clandestinely brought back salted duck eggs with me whenever I returned from trips to Manila. I remember wrapping them in layers of newsprint and burying them inside my suitcase alongside equally inconspicuous plastic tubs of my mom’s adobo and lumpia that had been frozen for the long journey back to California. I swear, pork adobo fried until it swims in its own delicious fat and strewn over rice with salted eggs and sliced tomatoes is the perfect cure for those crippling transpacific jet lags. 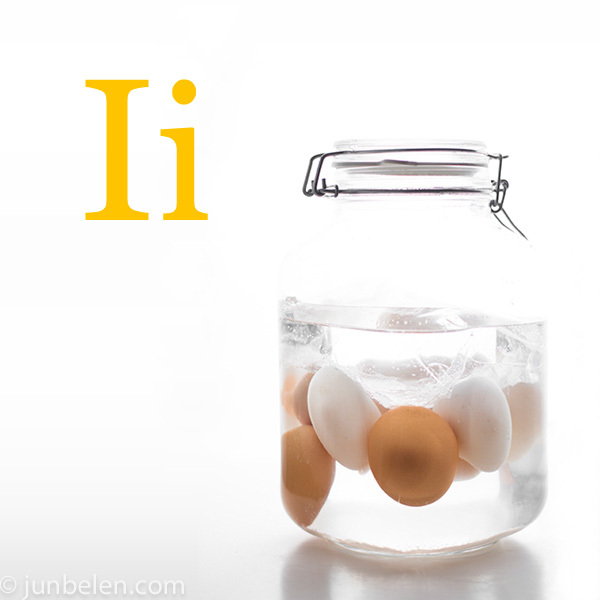 Itlog [it-lohg] means egg. Alat [ah-laht] means saltiness. Back home, duck eggs are cured not in brine but in mud and salt. The eggs are buried in dirt, water, and salt and then stored in wooden crates until the salt transforms them into intensely salty treats. 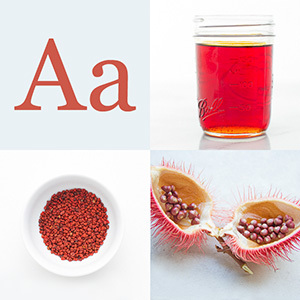 They are dyed purplish red to distinguish them from the unsalted ones. Chicken eggs are cured, too, but duck eggs are prized for their fattier yolks. 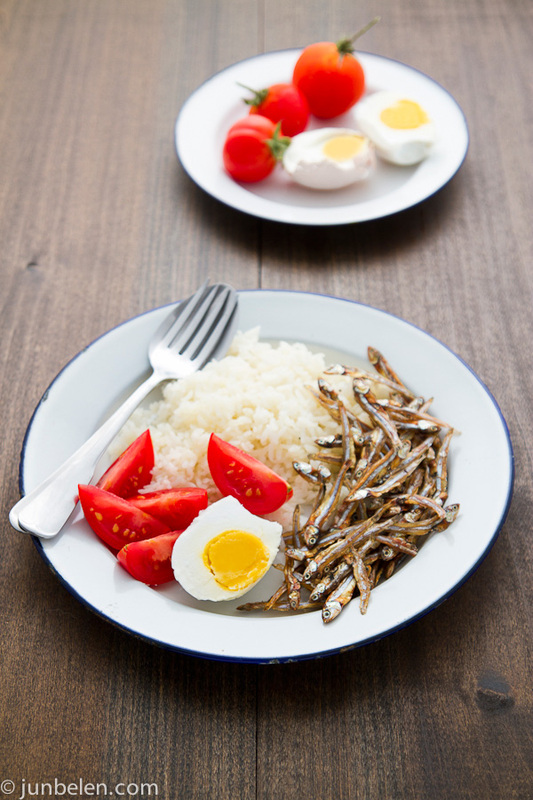 Filipino rice cakes like puto and bibingka are normally topped with slivers of salted duck eggs. The intense flavor of the eggs beautifully complements the subtle sweetness of the cakes. They are also great on ensaimadas and they make excellent pan de sal sandwiches. 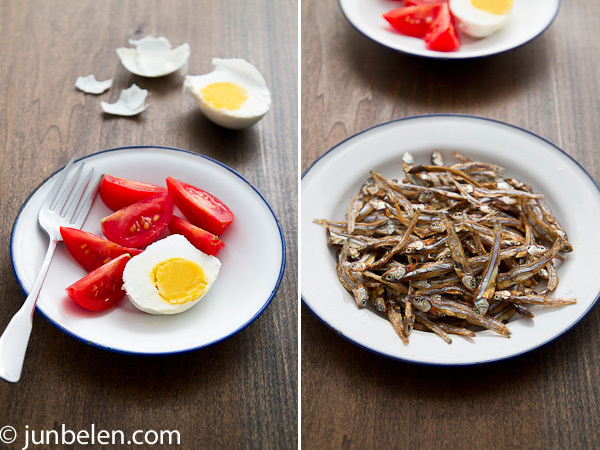 But when I think of salted duck eggs I think of a plate of fried fish and rice accompanied with salted eggs and tomatoes mashed together by hand. The fish can be anything like tinapa, (smoked), tuyo, (salted and dried scad or mackerel) or dilis (salted and dried anchovies). Eaten with bare hands, this fish dinner is so simple yet so satisfying. Immensely satisfying. And so I waited. I waited patiently for the days to turn into weeks. Before long, the eggs were ready. The tomatoes in our garden had ripened and were ready, too. Indeed, good things come to those who wait. I is for Itlog na Maalat and How to Make Salted Duck Eggs is Jun-blog’s entry to this month’s Kulinarya Cooking Club, a friendly group of Filipino food lovers from all around the world. Each month the club assigns a theme to showcase a new Filipino dish. For the month of September, the challenge was to make something that displays the colors of the Philippine flag — red, white, blue, and yellow. There’s salted egg and tomato salad, radish and tomato salad, tocino hash, pork kaldereta, grilled pork belly and mango salad, salted fish fried rice, pinakbet, chicken curry and mango chutney, adobo, adobo wrap, longganisa silog, pianono, ube macapuno inipit, and cathedral window. 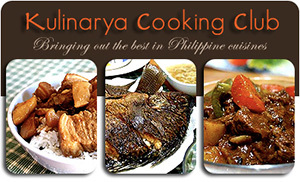 Visit the Kulinarya Cooking Club site and Facebook page to meet the club members. Hi Jun. Thanks for sharing this! I so miss itlog na maalat. Just a question – how long will the eggs stay good if I keep them in the fridge? Lorie, the eggs will keep in the refrigerator for a few months but I have — just the other day, in fact — had itlog na maalat that I made almost a year ago! As long as they are refrigerated they should be fine since they have been salt cured and hard boiled. I had them last week with daing na bangus — so good! When you make them I suggest curing them for three weeks then cook one to see if you like the saltiness. If not, wait another week to cure the rest of the batch. Enjoy! I am glad to have stumbled into your food blog. I find the photos very appetizing! I’m giving this a go right now. It has been 7 years since a friend brought some over from California to visit me here in Oregon. We ate it with diced tomatoes and a little bit of patis. Yum! Tomatoes with itlog na maalat — delicious with rice and almost anything! Perfect sawsawan! Thank you for writing!